This entry was posted on	January 10, 2015 at 9:05 pm	and is filed under Uncategorized. Arrived here a few weeks ago armed with pain killers, antiinflammatories, ibruprofen creams and so on. Yep, I’m a hypochondriac. And I’ve met a number of people dealing with the consequences of chikunchunga. I’m now down to my last packet and tube having given that which I thought would help to those I have met and those I know. Absolutely nothing and if you are on minimum wage less than nothing. My simple over the counter medicines have brought a LOT of relief very quickly to a number of people in pain. Pain and discomfort that has lingered unnecessarily for months. The situation her is deteriorating by the day. I used to think a bunch of idiotic left wing/Cuban/chavista/psuv/ corrupted general shts ran this country but now it is obvious those same characters are in the employ of unnamed highly organised criminal gangs. VZ is going to export food to Qatar! It’s a crying shame, I come from a country with one climate and one growing season. Venezuela has a range of climates and 2 or even three growing seasons. It could be the breadbasket of South America, instead it’s the basketcase. 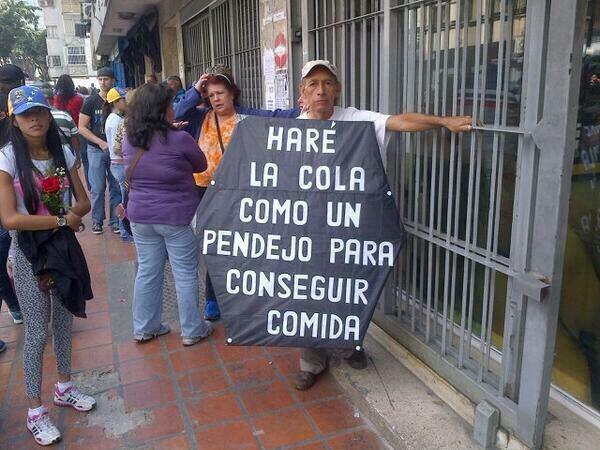 Essentially, this is a non-agreement since Vzla is not a food exporter. Moreover, Qatar can probably grow food in the desert cheaper than in Vzla. A ‘must read’ on the current state of affairs in Venezuela. I understand that the Financial Times is now saying that a default is now unavoidable. Wow. This thing sliding downhill fast…. By the way, I still cannot believe that they made that 8 billion dollar interest payment on the bonds back in October. Breathtaking. The lowest in the world of countries not in default. My wife tells me the latest Facebook thing in VZ is for people to make requests for medicine. Her niece just posted an urgent request for 2 tablets of betametasone(a) or betagen, for another pregnant family member. After researching the drug, aside for its “minor” uses to alleviate itching, rashing, etc., it is to be taken by expectant mothers expecting pre-term delivery (I guess), to aid in the baby’s lung development. Can you imagine being an expectant mother or father, your doctor tells you that you need this medication to save your child’s life, and you can’t have it because of Chavismo? I have some very perverse and evil thoughts going through my mind now, and maybe some of you can guess their nature, but I can’t help it. This has been a Twitter thing for more than a year now. Some days it seems that ever 3rd Tweet is looking for medicine. Having taken everything from pampers and baby milk to vitamin B injections (for a cancer patient) to Venezuela over the past year and a half, yes, this is the way it is. A very few years ago Chavismo, under Chavez, did at least supply medicines and drugs at very low cost or even free to most people. It’s only in the past 18 months that the wheels have come off in this very stark way. By the way, there will be more expectant mothers shortly since it’s also very difficult to find contraceptive pills or injections there. I understand most of the milk sold in Caracas over the past few days was from a discovered hoard of ZuliMilk? Perverse and evil people are on all sides. The principal driver of decision to downgrade Venezuela’s sovereign rating is a marked increase in default risk owing to lower oil prices, Moody’s says. • The recent oil price shock has exerted pressure on Venezuela’s balance of payments and dwindling foreign reserves, Moody’s says. This is what socialism looks like. We don’t have these problems in the US, our biggest problem is people who work being robbed in taxes to feed the half that refuse to work. Face it, the oil bubble has burst. By the time oil goes to $150, a dollar will have a third of its current purchasing power. In a free market, all things go through cycles, that includes market corrections. When prices go up, more people compete and the price comes back down. Then that skill and technology moves to locations where is more economically feasible. In places where land and labor are dirt cheap, a shale oil well is still very profitable. Maduro is short sighted enough to believe that $100 is a “fair” price when in fact it is 4-5 times what the price has been for decades. The saddest part, is that Chavez is not around to see his ship sink. It will go to $150. Adjust it by inflation. You can assume 2035 as an approximate target date. Why? Because that’s what it takes for indians to drive electric cars with electricity generated by nuclear power. Miguel, how does on edit comments here? I made a typo “severa” instead of “severe” but could not find the edit button. I shot an error in the air. It’s still going… everywhere. I dont think you can correct. I did. Why would a joint Venezuela-Iran project on pharma work when the track record is one of uninterrupted failures? In this 2010 video chavez visits the Veneiran assembly plant and talks about domestic manufacturing “because we have the raw material and production facilities to make the sheet metal.” Of course, today Veriauto is dead and Sidor is moribund. A bonus of the video is the illustration of chavez severe ADD. In min 5:08 he asks about production levels and gets the number “48 unit per shift” Then he deviates and begins talking about a soccer game where Brazil won, forgetting the talk about productivity. Can’t understand the Saudi visit at all. Going to Iran might make him feel better (scumbags of a feather stick together), but what the hell did he expect in Saudi Arabia? They’ve eloquently stated that not only do OPEC members cheat anyway, but that there’s too much oil from elsewhere for OPEC to manipulate prices. And too little demand. One of the Saudi Princes was recently interviewed, and he explained what the deal is. That $100 oil is a thing of the past, it is VERY possible that it will go much lower than $50, with minor fluctuations bringing it above and below 50, but not by major numbers. And that oil-producing countries better learn to live with these new, lower incomes. Not only that, but before taking off for Saudi Arabia, he made statements with Iran about supporting a strategy to increase prices. Dumb and dumber. If Saudi Oil is going down to $40bbl, the muck that Venezuela dredges out of the ground will be $35bbl. Hasn’t the government already admitted that oil averaged about $42.50 last week? $100 oil is a thing of the past. Anybody wanna buy a nice bridge? It’s simple math, barring a nuclear or other war catastrophe. Which of course is always possible. The reasoning being, from what I read, that $100 oil is worth nothing to the Saudis if it’s stuck in the ground because their customers have come up with alternative energy sources (gas, shale oil, tar sands, lithium, etc). They have to extract it and sell it before the market goes away. They don’t have the production capacity to jeep oil prices that low. It’s mind games. Prices will start increasing by the fall and will eventually return to $100. By 2035 they should be $150. The renewables just don’t work at large scale below $100 to $120 with current technology. Apparently CitiGroup believes the Saudis will run out of oil by 2030, in part because they use 25% of their production themselves, so using your numbers they should be able to get all they can out of the ground and sell it before renewables become a viable option. They just had to set the renewables (and other oil competitors like the Arctic, US shale oil, the Brazilian Atlantic, Canadian tar sands) back by 20 years or so, which they’ve now done. Of course they’re also playing geopolitical games with the Russians and the Iranians, and yhey’re not going to be worried about the collateral damage to Venezuela. Frank, when you think about Saudi oil running out assume it will climb to 12 million barrels per day, hold there for a while, and then decline in a fairly monotonic fashion (we call it exponential decline). If you want to play with it multiply the previous year’s production by 0.97 and that gives you the year’s production. Just draw that out year after year. I hope that when Venezuela finally has to beg the international community for food basics that they make maduro and chavistas pay homage to whoever delivers it. It may sound outdated but unless this group is subdued in public they will be preparing to fight for a return to power. I have an aweful feeling that what we are about to see in Venezuela will be a bloodbath because the current government is dragging things out to the edge of an abyss. I hope I’m wrong. When that time comes, they will not “beg”. They will “demand” it, as though it is their right to receive aid. They will claim that that the conditions were created by “Economic War” and that it is the obligation of the world to help them. Humility is not their strong suit. Fernando Leanme, do you know of a good book about the Cuban secret service? One not about a special operation but rather about that agency’s working? “Castro’s secrets” by Brian Latell provides some historical insight. Not quite to your request, but related: Georgie Ann Geyer was a journalist of some note who spent a lot of time covering Latin America. In her autobiography Buying the Night Flight, she had an interesting story about Manuel Piñeiro, who at the time was the head of Cuba’s secret police.Manuel Piñeiro became infatuated with Georgie Ann Geyer, and tried to develop a relationship with her. Talk about fear factor: becoming the lover of the head of the secret police. She was able to extricate herself out of that, but with a consequence: subsequent request for visas to Cuba were denied. The secret police is perhaps the only institution in Cuba that functions. I highly recommend Georgie Ann Geyer’s book. She has some interesting stories about Allende and Chile. And many other places. You could see this coming, over Christmas and New Year everybody went crazy emptying their bank accounts and buying new clothes, presents, and so on. No shortage of liquor either. And I mean emptying their accounts, on most days in Higuerote you would have to queue for 45-60 mins at Mercantil to withdraw cash (VEF 4000 limit per day). I should have taken a photo. Now the hangover is setting in, the accounts are empty, and people are very nervous. 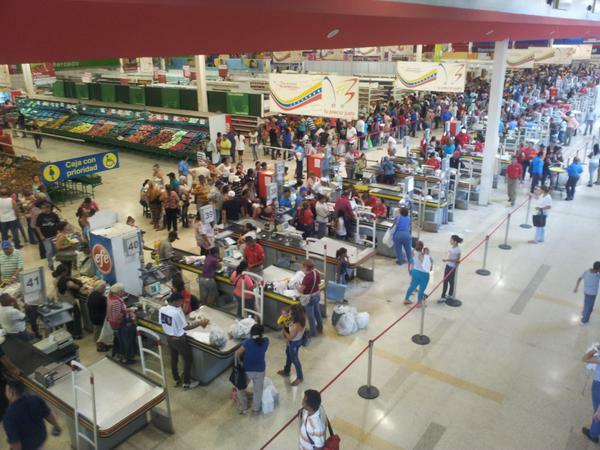 I don’t know if it’s panic buying, hoarding or if people’s stocks of food are really running out, but the queues at supermarkets in Caracas are impressive. 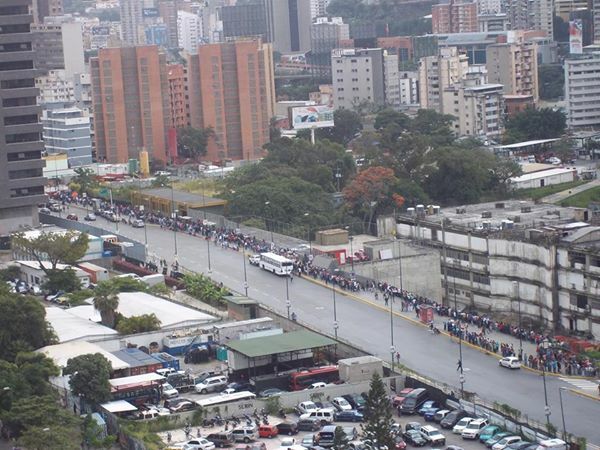 The Excelsior-Gama in front of the Miranda metro station is one of the most expensive in Caracas, and still the queue was almost 2 blocks long to get in when I passed in late December. I’m sure it’s not any better now. To me it looks like February and March will be a more violent and more desperate reprise of last year. The shortages are just random, from day to day it’s different. Trivial observation: in November I could get Pirulines at the airport, though they were rationed to two boxes per person… I was able to get some more at a different shop (yo traficante en Pirulines :-), I’m lucky I wasn’t detained). Now they’re not available at all. That’s exactly why I didn’t go on my annual 3-month visit to Venezuela! 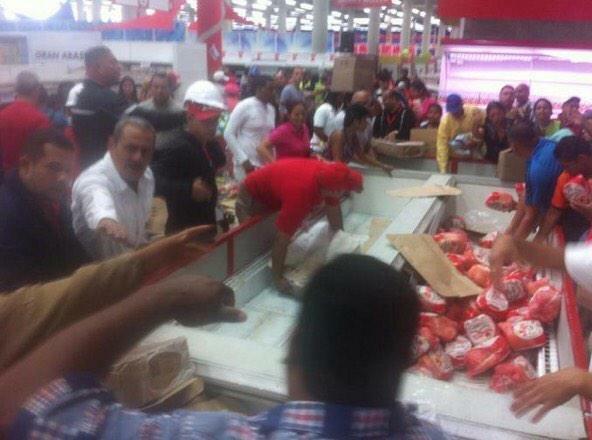 Too many signs of shortage problems and violence early in 2015. You think the Saudis don’t know exactly what is going on back home? Or Maduro’s stupid statement when departing Iran to Saudi Arabia? How do you think the Saudis keep control of everything? Unprofessional they are not. The women will go to spas for beauty treatments. They will get their hair and nails done. What’s the point? They could get it done better in Venezuela. Not if the last stop of the tour is Havana. Wishful thinking on your part I’m afraid. No way, Qatar has quite a few venezuelan expats, I bet the women are raising beauty parlor standards, but you can’t tell if they are all covered up. note Qatar stop not on original schedule but added at last minute. Yeah you sure fooled us. Supposedly Maduro is getting loans from Qatar. I must congratulate the author of this article on his mastery of the language. Twice he uses the word “chaos” where generally one would find instead the word “anarchy” which for a libertarian and in this context would represent both a prostitution of ideas and an insult. And yet it happens all the time. Chaos is a word dear to my heart though, published a few papers in Physics on that subject. Could the flapping of the wings of a bird (or rather its brain) currently visiting Russia, China and OPEP countries, generate tremendous upheaval back home? What does chaos theory say about that? Does not look like chaos to me but rather pretty well disciplined servitude. Something good is bound to happen eventually. I must admit that I get a perverse pleasure of reading the Venezuelan press. This article from Notices 24 is a case point. With fanfare, it notes that 415.000 of foodstuffs are being distributed today in Caracas. How is this newsworthy anywhere else? It’s not. It’s a mundane every day occurrence the world over even in Cuba, North Korea, Zimbabwe, Haiti or anywhere else on this planet. As I am in Colombia, I love comparing similar stories in the respective presses. President Santos went late last year to Europe to seek support on the Colombian Peace Process and to discuss the drug trade. His trip was a success for the most part but the Colombian press reported it critically and with analysis. I look at the Venezuelan press and how it is covering Maduro’s trip now and it is all one glorious achievement after another. A brief paragraph about how Maduro did this and said that followed by a stream of irrelevant photographs. It’s laughable. Who falls for such crap? The Soviets fell for it for decades. I’m sure the 85000 citizens of 23 de Enero parish will enjoy the 40000 kg distributed in their area. That’s a bit more than 400 grams per person. Eaten with a generous muddy water supplement and a stray cat it can last until next week. I should know, I lived in Cuba. When things got bad we ate all the cats, pigeons, dogs…I even had an sob trying to sell me a vulture albóndiga. Yes sir. We had a guy selling vulture at 12th ave and 23 st. Right in front of the large cemetery entrance. People claimed it was making them sick, so I didn’t buy it. But I did eat cat. I wrote about it in my blog. That was a real story. There was a huge, well-known Chinese restaurant in NYC’s Chinatown that my friend always went to. This is the 70s. Can’t remember the name because I’m an old fart. When a bunch of us all went out together, we always outvoted him and went elsewhere, but man, did he brag about the ribs at this place! Imagine his surprise when the lead news story was that the place was closed down by the authorities–for trapping local cats and serving them, especially the ribs! I myself have no problem or cultural outrage at consuming domesticated species like dogs and cats. Ira, when you go hungry like we did in Cuba you get the “Oreo syndrome”. This is a disease which strikes people who lack food. The name was invented by American expats working in Iran many years ago. The spent all the time complaining because they couldn’t find Oreos on Kharg Island. Anyway, I don’t think it’s the same. When one goes hungry like we did in Cuba thoughts about food become obsessive. Especially greasy food, sweets and things you never ate. I think venezuelans are just getting into that zone, but they got a ways to go. And by the way, cat doesn’t taste like chicken. A properly fed dog tastes ok. Pigeon is fine. And you can eat fish bones if to burn them to a crisp. Yeah, I wouldn’t say the Oreo Syndrome is the same thing. Maduro is travelling on a Cuban plane. He might as well end his trip in Havana and start his retirement. He is traveling on a Cuban plane out of necessity. The Airbus that the Venezuelan government owns is unable to fly due to a dispute with Airbus. The Venezuelan government claims that Airbus damaged the plane last year when it received scheduled maintenance. The truth is far different of course. The plane can’t fly because Airbus is demanding payment before it releases the required parts that will enable the plane to fly. 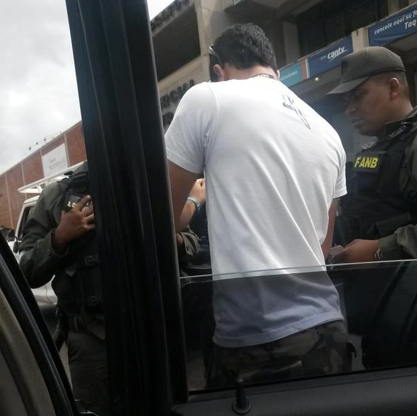 It’s really quite something to see the Venezuelan government in action. The level of corruption is unequaled in the annals of Latin American dictatorships. The Duvailers in Haiti at least kept money in the bank for such niceties as a presidential plane. Telling that Venezuela can not. Charles, can you elaborate on the Airbus issue or are you just making this up from something you read. You think the regime does not have the money to buy a few aircraft engines? What can cost more? Venezuela says that the Presidential plane is defective (wings) and it’s Airbus’ job to repair the entire plane. Airbus says Venezuela hasn’t maintained the jet properly so parts have broken through neglect. As usual, it will all end up in some court within the next twenty years or so. You do know he had the money to buy a lot of jets, turboprobs and helicopters but he does not have the money for “spare parts” for his Airbus. This analysis is flawed Charles. Charles, they parked the A319CJ for a host of reasons. None of which you mentioned. Airbus was scapegoated and you fell for it. They don’t want Imperialist bugs listening to their conversations. It’s kinda funny. The Airbus dispute is old news, and I read that the Embraer was painted in Conviasa colours so as not to attract attention, is that correct? Has to do with air transit rights for non comnercial craft. OK, I’ll bite, I know as much about the air industry as I do about oil… does painting the VIP plane in Conviasa colours, i.e. making a non-commercial VIP aircraft look like a commercial one make certain things easier? I wonder if the way chavista ministers are insulting and making people angry may not be a step in a well calibrated plan to cause scattered protests. This will allow them to arrest the hot heads and make a show of power. Don’t ever underestimate Raul Castro and his son Alejandro Castro, his heir about to sit on the cuban dictatorship throne. If they allow Maduro and his ministers behave this way there has to be a subtle reason. I also understand you don’t think the Maduro regime is a cuban satrapy, but the whole set up tells me they are indeed entrenched, and the G2 is very much on top of things. I would discourage protests or anything extemporaneous which allows regime agents to arrest you or mark you down. 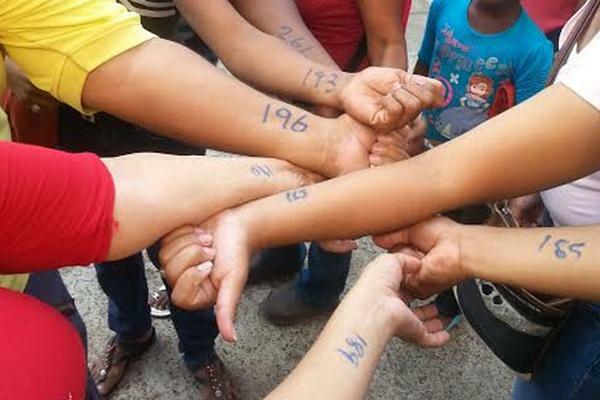 The day you are ready to protest then you had better be ready to protest in Petare or La Cañada de Urdaneta with the poor. If they kill you then at lease you know you did it to achieve some thing. And if the barrio people join you then maybe, just maybe, you can achieve Solidarity without Lech Walesa and a decent Pope back int your question for freedom. The only way the cuban g2 will let go of Venezuela’s throat will be by force, and the only force can only come from within chavismo and with the poor people in the barrios ask int for it. Cabello is clearly blackmailed by the Cuban G2, so he’s a non entity. Other than being a loud mouth and serving as an instrument for the dictatorship’s gutting of institutions, Cabello is nothing. This means protests also have to focus on Cabello’s resignation and departure (or capture and trial). Finally, if you want to put pressure on, to have things change, you also need to focus on Havana. Obama’s poorly timed foreign policy is about to hand you over as slaves to the Castro family to own, and do with you as they please. So you really ought to consider whether strengthening the Castro family dictatorship benefits anybody, other than the rotten oligarchs who surround the ruling Castro, and the corporate interests pushing for allow bank loans and all sorts of business, with what is looking more and more like a fascist hereditary dictatorship with imperial ambitions. > Is the embargo over? > Is there open tourism to Cuba? > Is there actually ANYTHING that Cuba gains other than silly diplomatic points. In reality. the only thing that will happen is that there will be a dialog between embassies. In fact, I can’t even remember if President Obama mentioned actual ambassadors except to say they were a possibility at a later date. The United States has relations with all kinds of repulsive regimes. Just because we talk to them doesn’t mean we play nice. If the United States wants to make change they may need a hammer, but what is it if all the nails are already driven in? Cuba gains more dollars from lowering of trade and communication barriers. There are two schools of though on this. What Obama did is defensible. Yes, you’re right. There will be more humanitarian aid, but I doubt if anything other than superior cigars and inferior Rum will be exported, and that will be at $100 per tourist. Tourism itself won’t be affected, you still can’t fly from the US for a vacation, it has to be one of those education and people to people tours where you get to look at faded wall art of Che and a 40 year old Fidel. One thing about the cigars, is there any “big shot” Republican or Democrat who can’t already get their hands on a nice Cuban? As far as communications, both sides come out ahead. US funds will flow in to upgrade Cuba’s decrepit grid and internet, but more people will have smart phones and Internet Access. I think it all hinges on Raul’s son. I don’t know how the Cuban people will accept what will basically be an hereditary monarchy. It also looks like the guy is totally devoid of personality let alone charisma. Osama implied he was removing all economics sanctions. The problem I see is that Venezuela is about to crash, Fidel is about to die, and they are working fast to place a third Castro, Alejandro, as the hereditary dictator. The circumstances are way too dicey for a weakling president, whose main focus is starting trouble with Russia, to be getting weak knees when the dictatorship may be about to fold due to Venezuela’s economic crisis. If he wants to establish relations with the dictatorship, fine. But the economic sanctions should be negotiated in exchange for the terms requested by Yoani Sanchez and the cuban dissidents. Otherwise what Obama is doing is planting North Korea smack in the middle of USA navigation lanes. It’s utter nonsense. Another in a long list of usa foreign policy blunders. Fernando, great until the last paragraph. The question of G2 grip on power is valid. Regarding the last paragraph, IMO too soon to pass judgement and I’m in the thick of it and have been for decades. I support Obama’s decision. Lets wait till the Casto brothers die. We are in holding pattern till then. Yes the Castro bros. won the status quo remains. Get over it. They are preparing Alejandro Castro to take over after Raul. It’s looking like they want to copy North Korea. Get over it my behind. They haven’t won yet, if they win they’ll have Venezuela bent over for decades. Get used to being second class colonized subdits ruled by the Castro dictatorship. Are these goons scared or what? No, they’re not scared, they’re goons. They face no serious resistance. Why should they be scared? What I find most entertaining is that obviously no one is in charge. Maduro can’t do anything even if he had a clue what to do, he has no power. It will only be “entertaining” until the motorcycles and the Kalashnikovs come out early in the second act. Then the opera buffa becomes a tragedy. At a supermarket, eastern Caracas, apparently there were bikers blocking the entrance to the establishment and only letting in those they thought were chavistas. Oh my. This could be a growing trend. Only those who ‘support the revolution’ are entitled to benefits (food? ), the others must fend for themselves. Wow. This could really get crazy now…. It is indeed weird that Maduro appears to be such a clueless president. Have the Cuban minders gone home already? And if someone is setting a trap for Maduro to fall in, is that someone so sure that, after the fall, he can control the chaos he has triggered or let fester? I think he’s outside the country with 22 family members waiting for the explosion to happen. He’s a coward and afraid. María Corina Machado: Maduro is not touring, he’s fleeing!